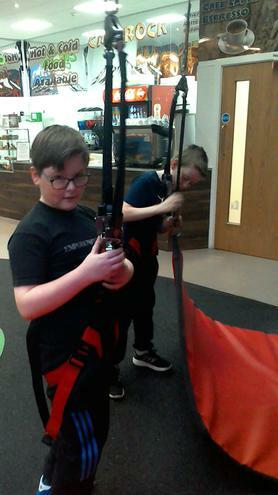 Our topic this term is 'A Child's War'. 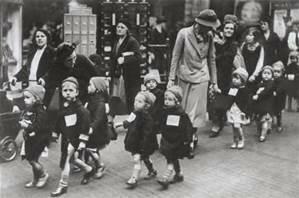 During this term, we will be learning about World War 2, particularly how children and adults in Britain were affected during this period. 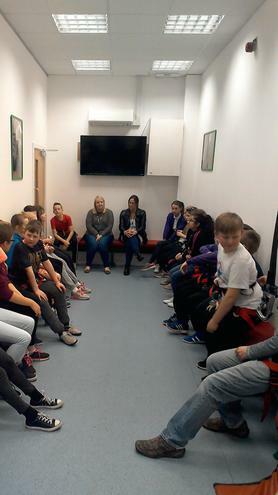 As part of this topic, we will be looking at propaganda posters and designing our own. 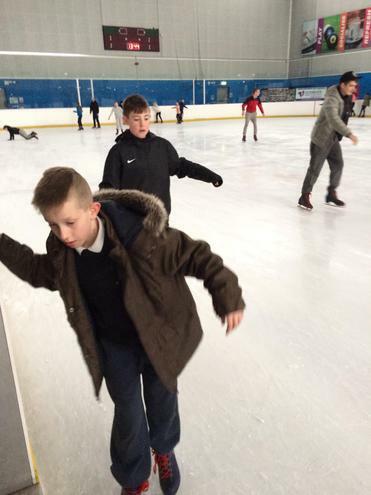 We will be doing a lot of English work based on this topic, including writing 'flashback' stories and 'evacuation diaries'. 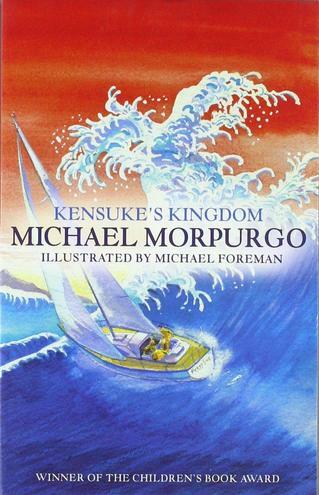 This term's class novel is 'Kensuke's Kingdom' by Michael Morpurgo. 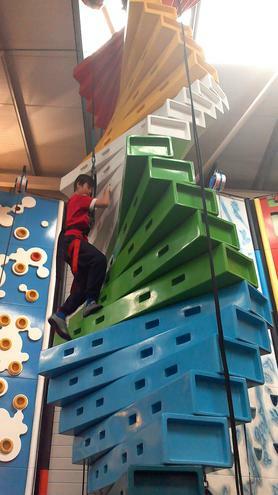 Kensuke's Kingdom is the story of a young boy, Michael, who falls from his parents' yacht during a trip around the world. 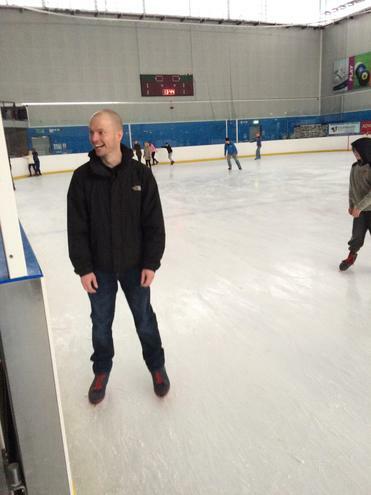 When Michael is washed up on an island in the Pacific, he struggles to survive on his own. 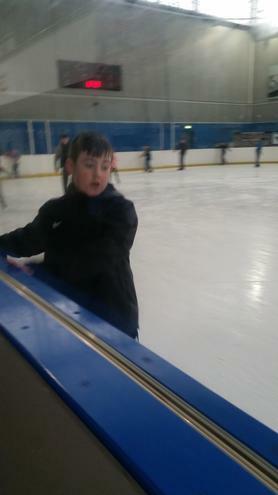 But he soon realises there is someone close by, someone who is watching over him and helping him to stay alive. 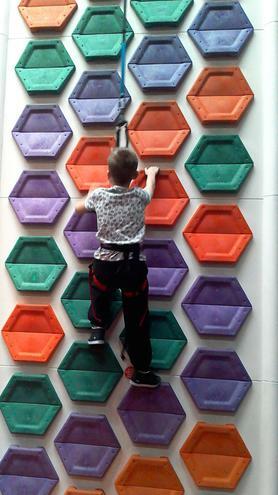 We will be reading this book every day during Guided Reading sessions. 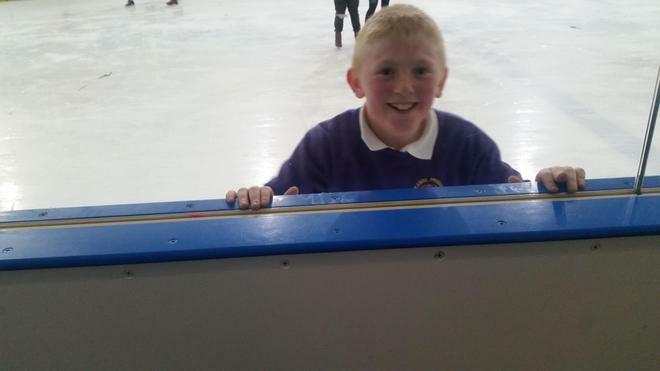 We will also be basing our English work around the novel and writing biographies of the main character, Michael. 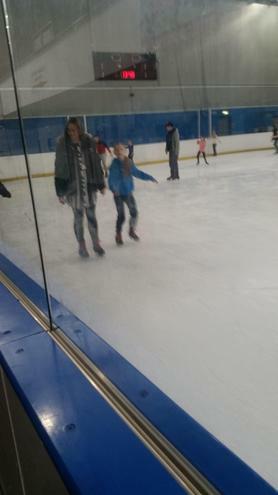 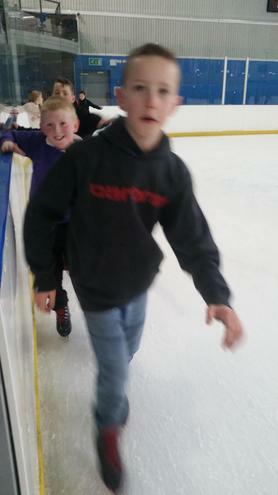 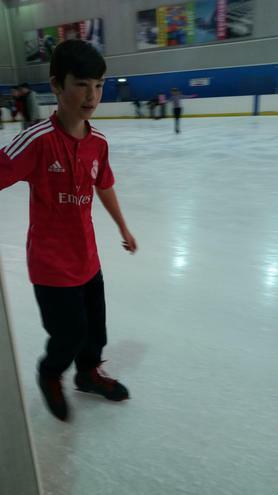 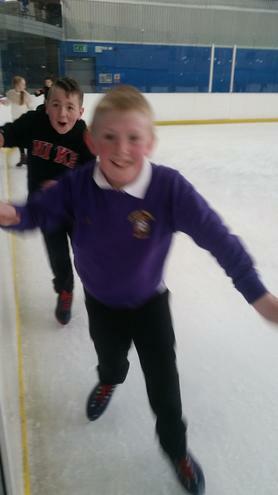 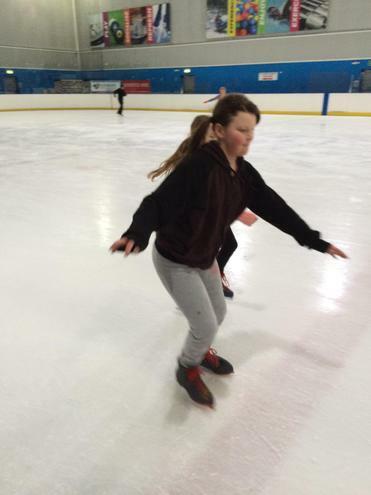 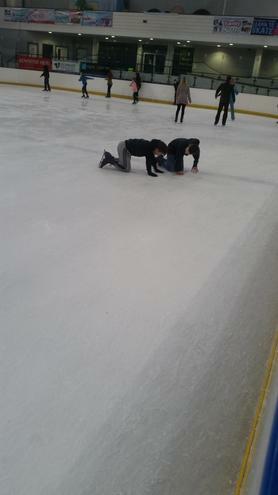 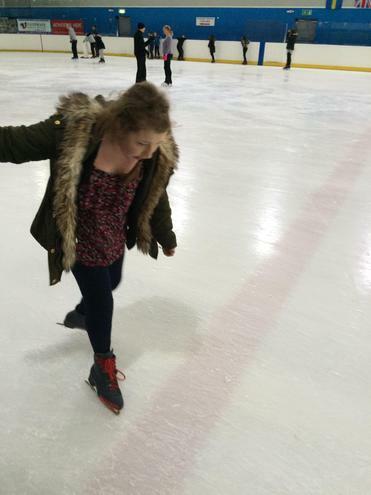 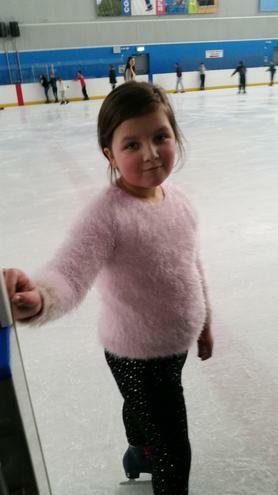 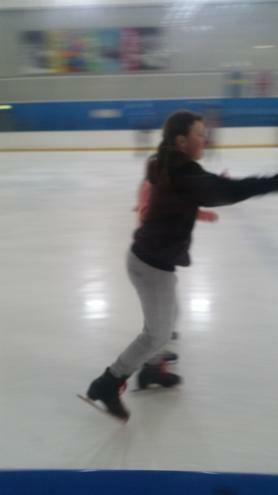 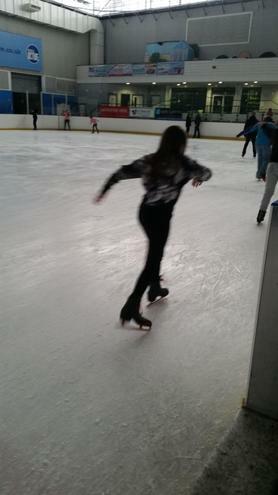 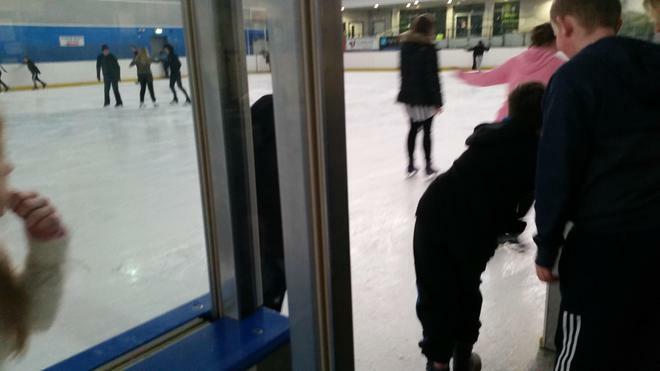 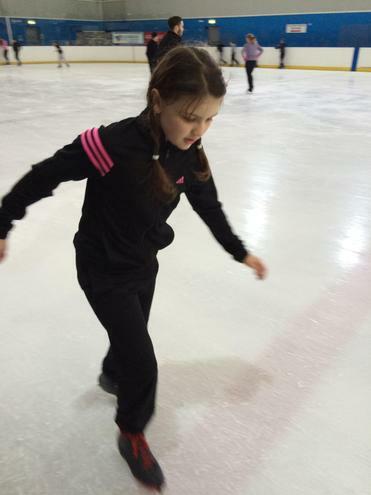 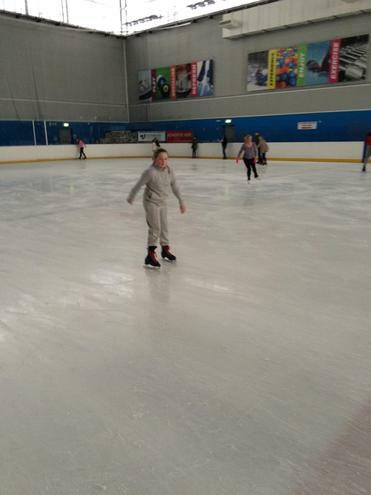 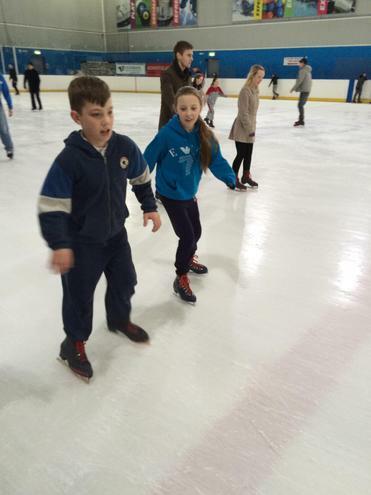 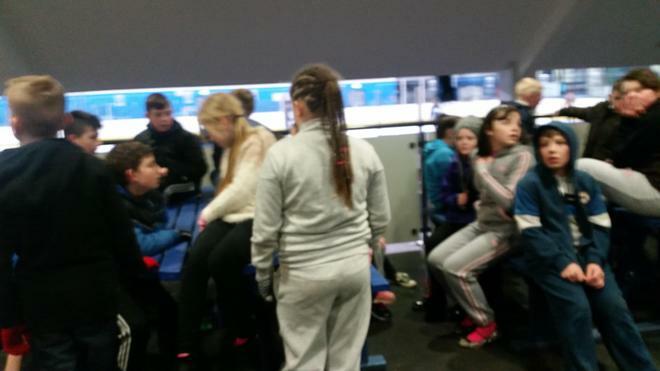 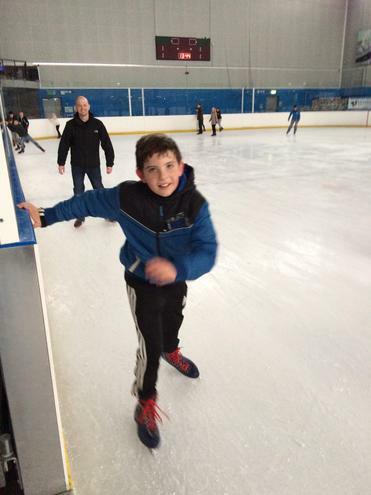 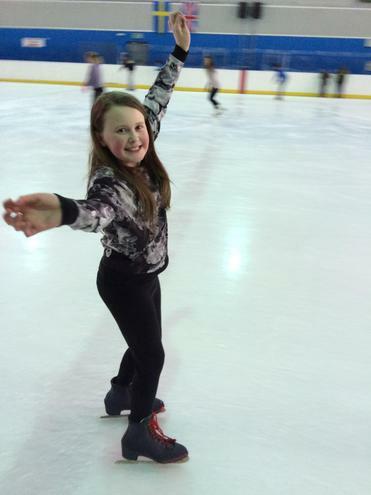 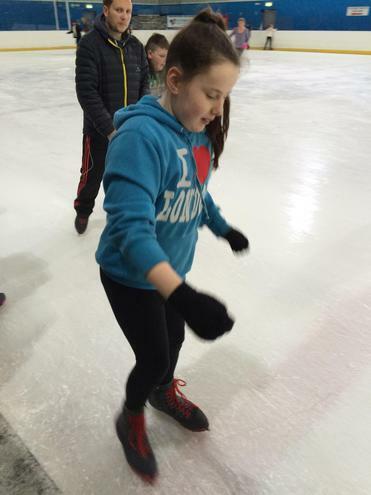 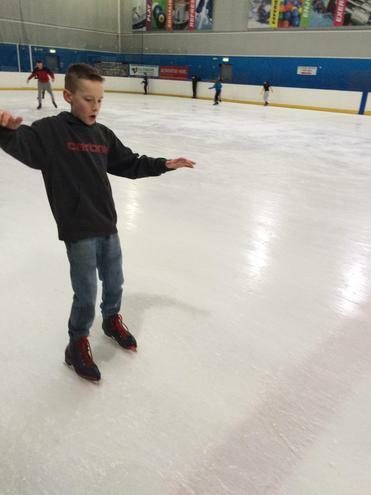 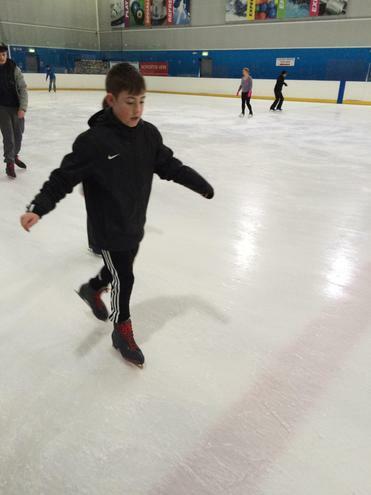 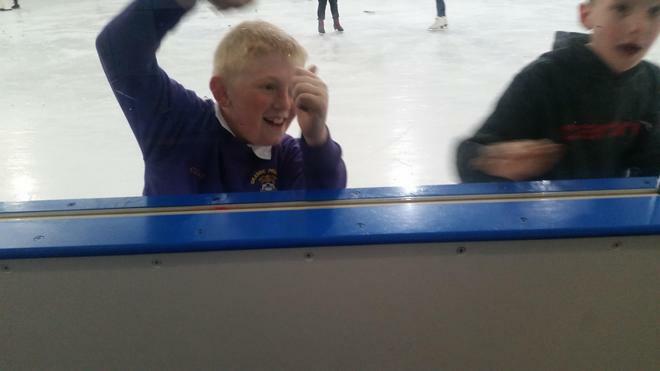 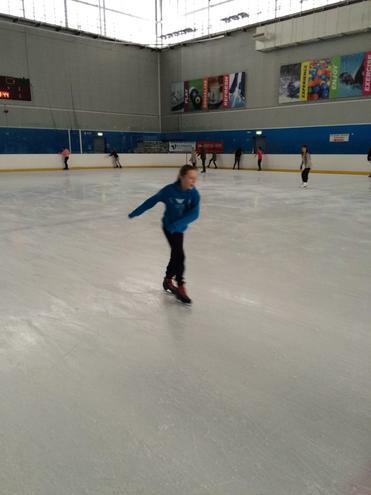 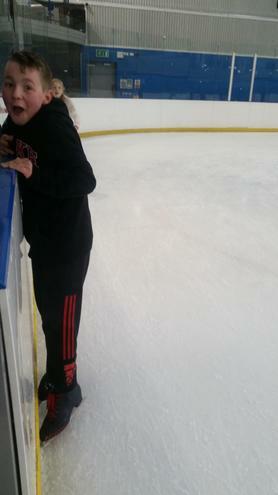 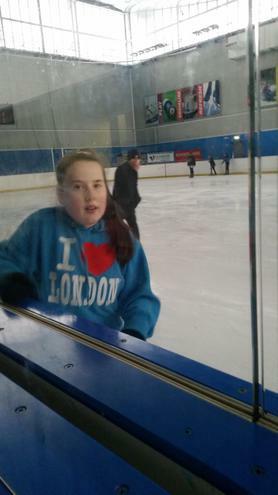 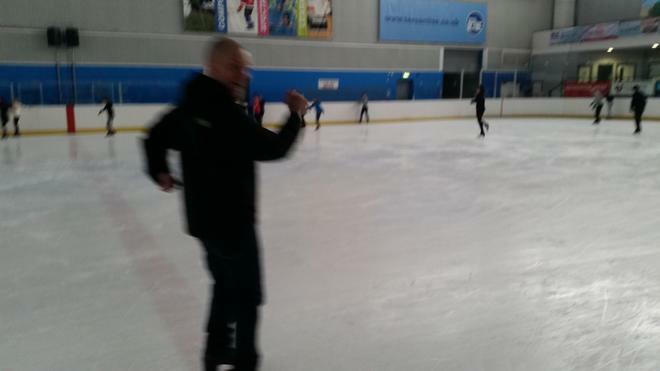 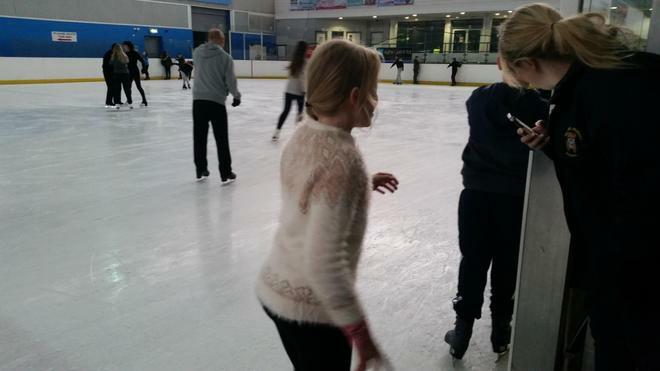 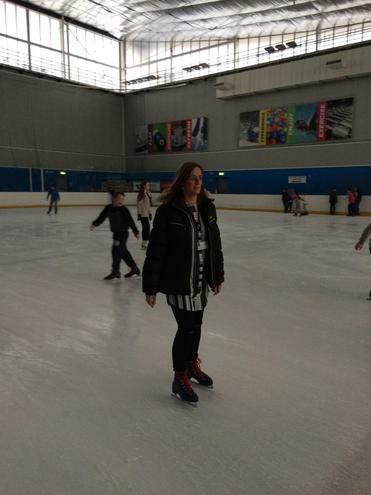 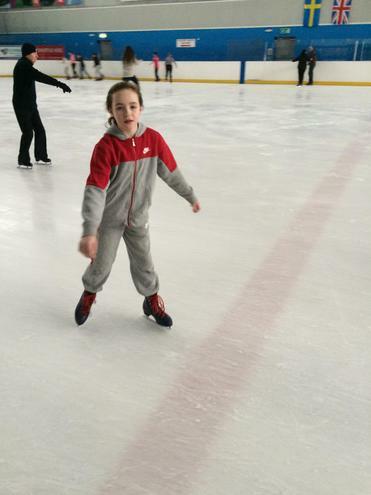 This term the children enjoyed visiting Billingham Forum to complete their Sport Relief Mile by ice-skating! 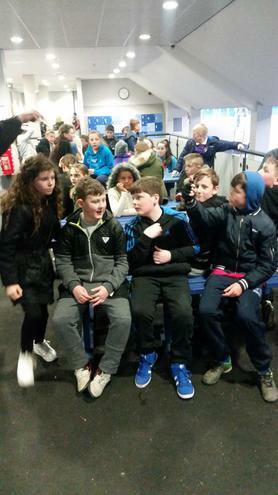 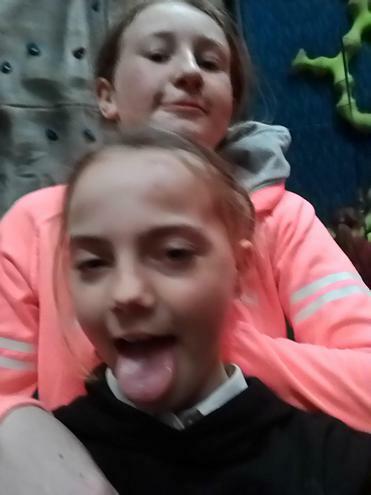 The children were very enthusiastic about the trip and everybody had a fantastic time! 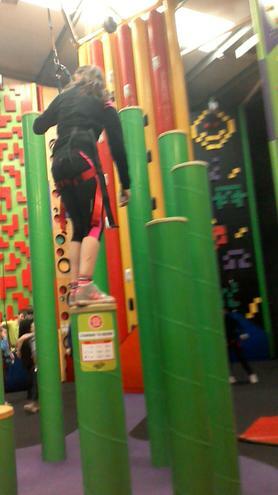 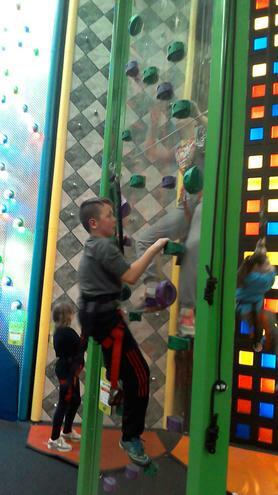 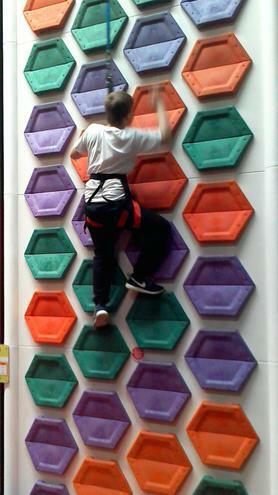 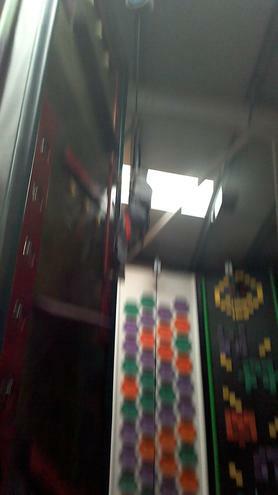 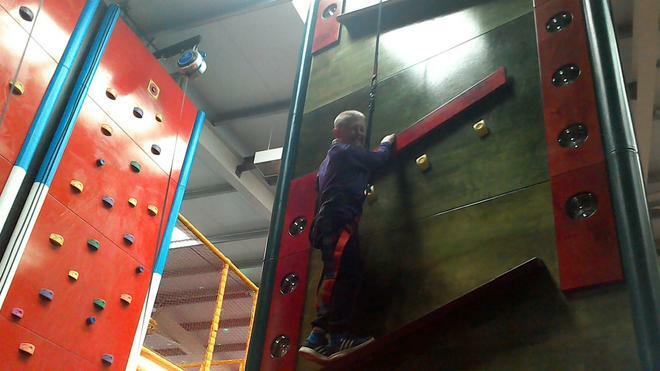 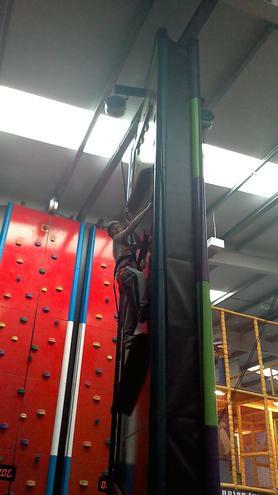 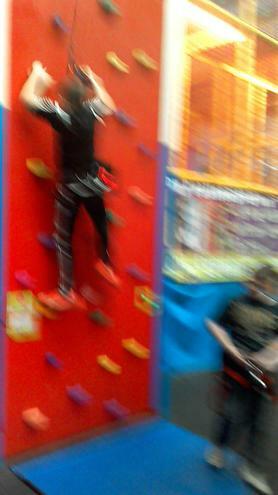 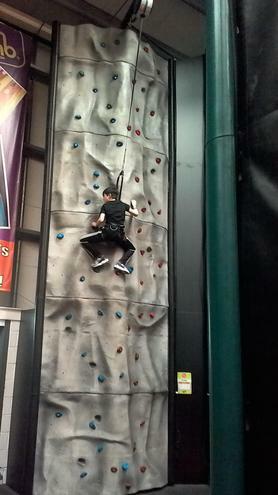 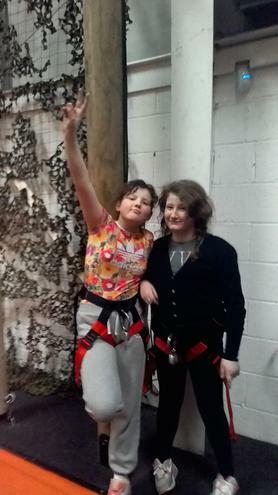 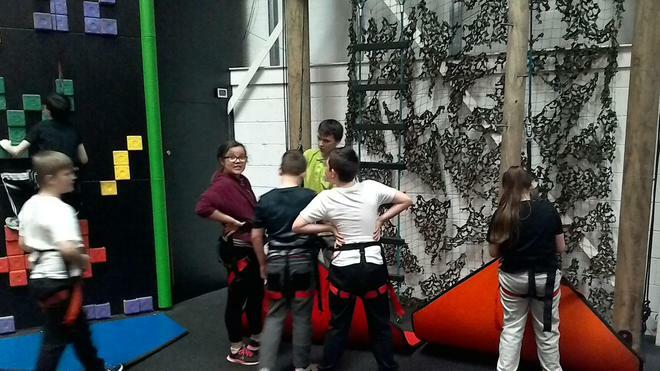 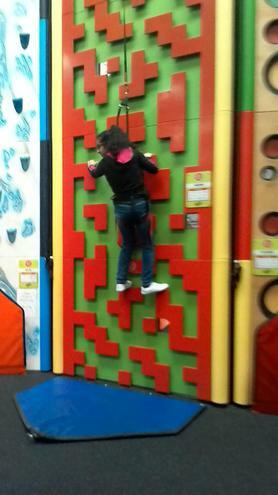 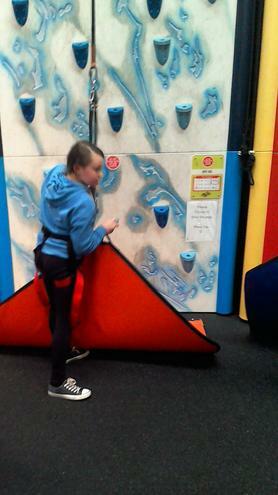 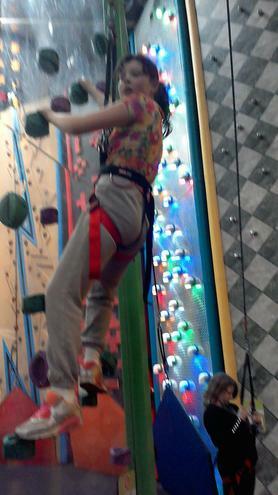 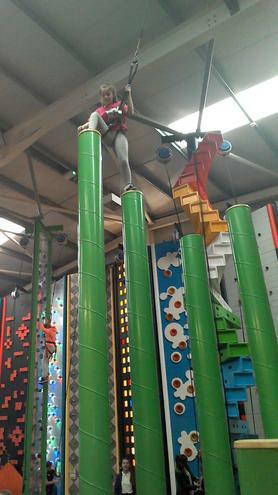 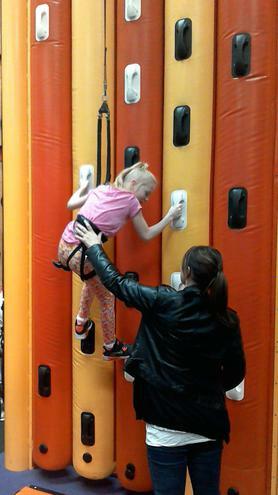 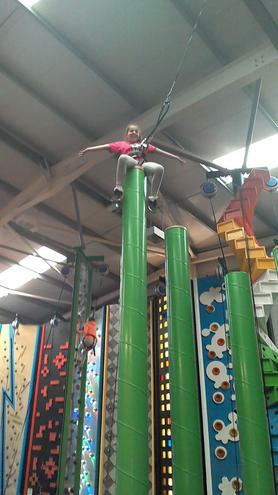 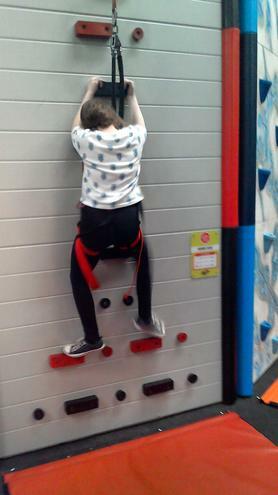 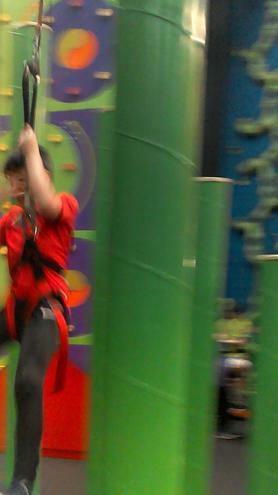 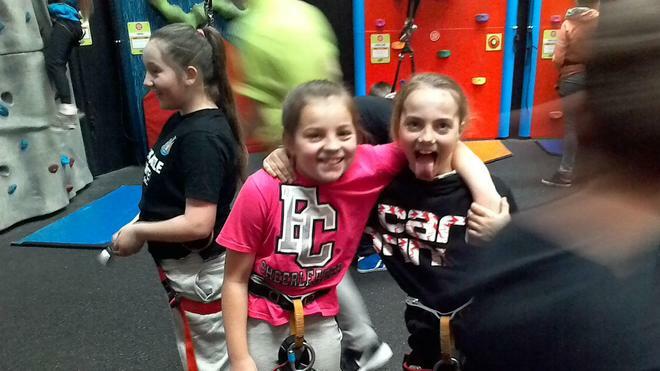 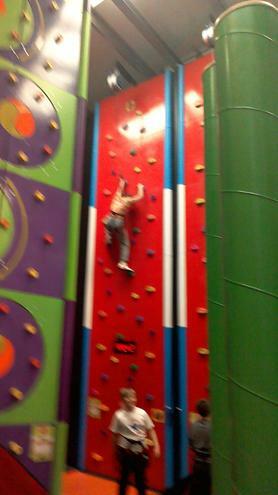 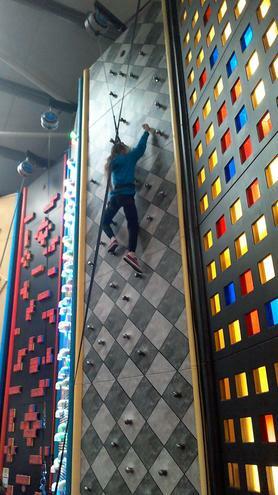 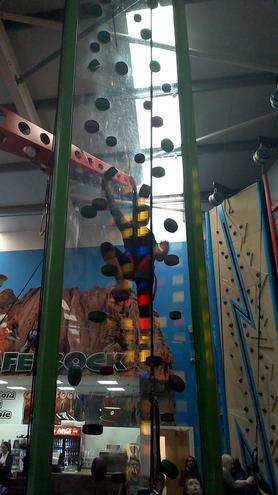 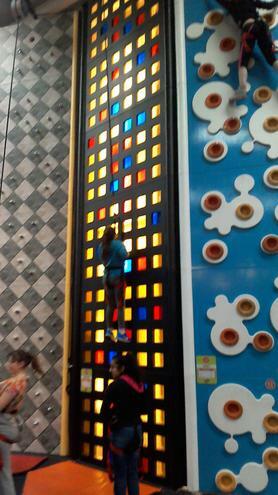 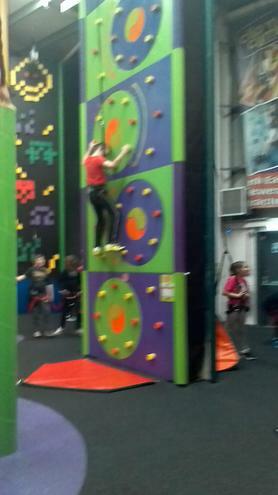 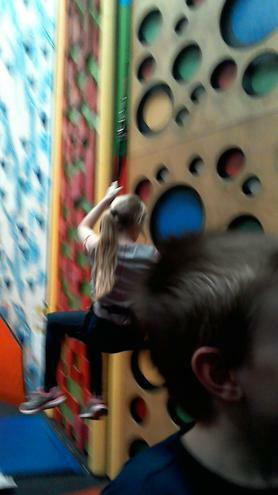 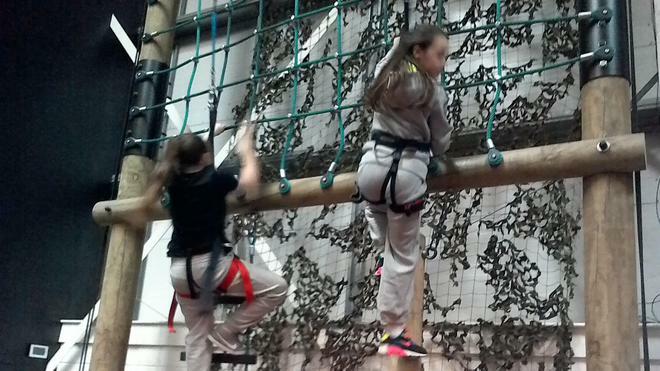 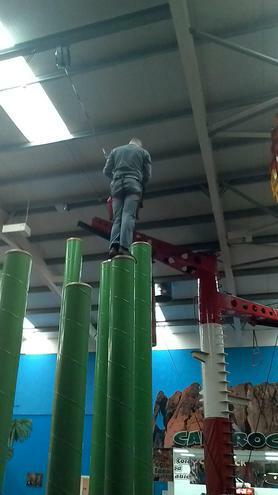 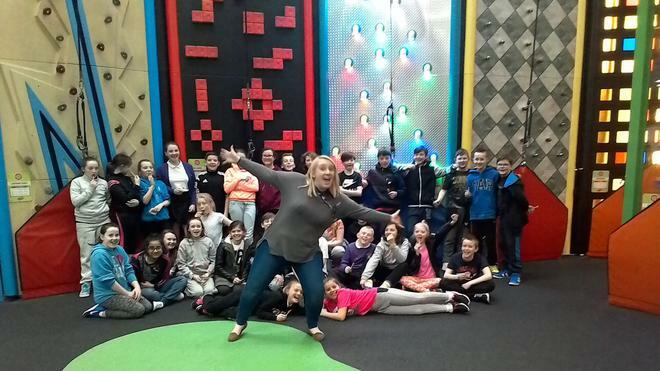 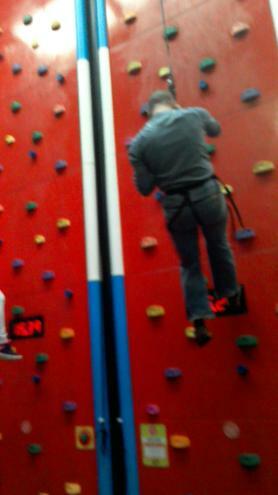 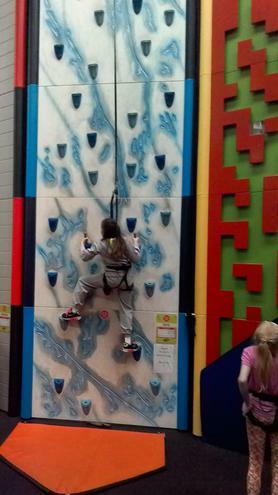 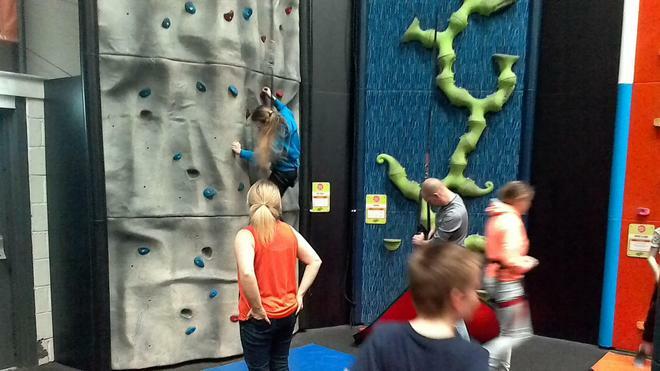 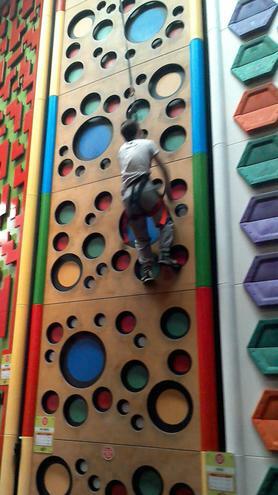 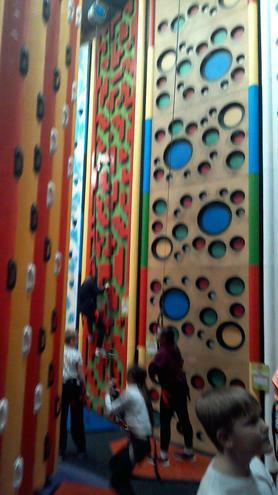 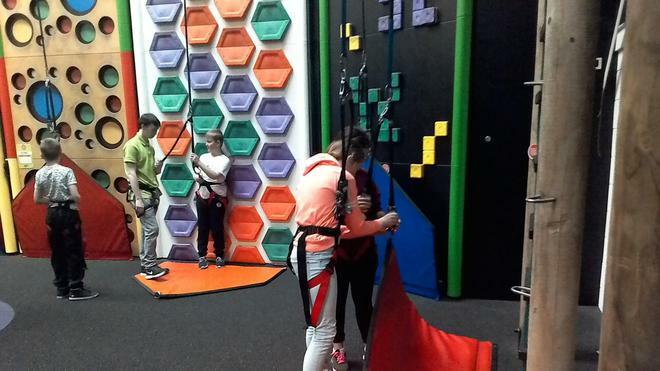 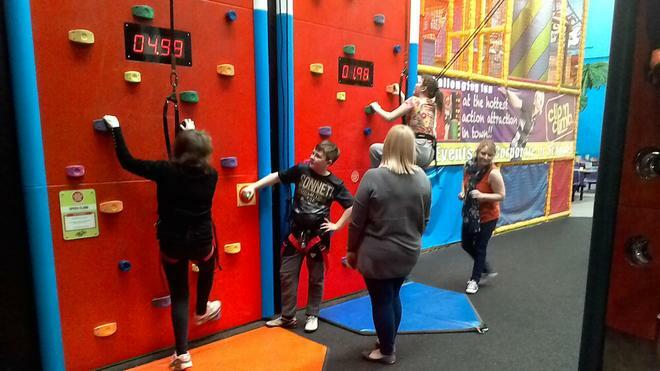 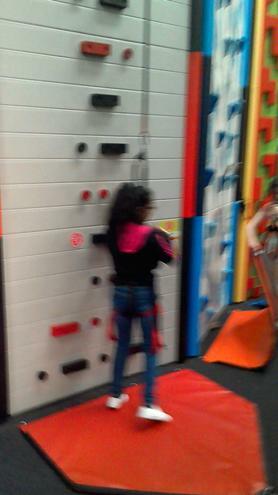 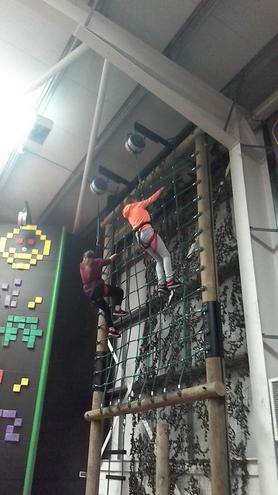 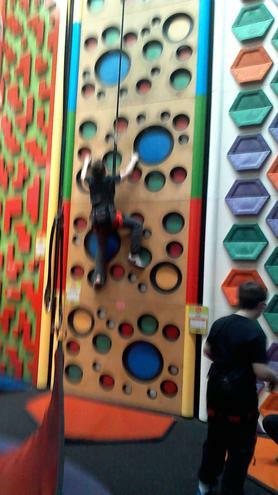 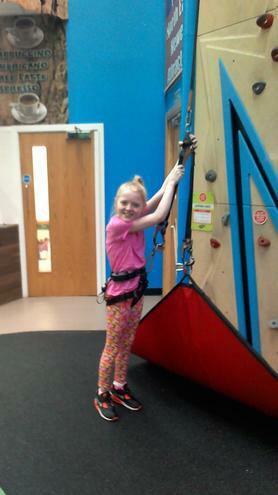 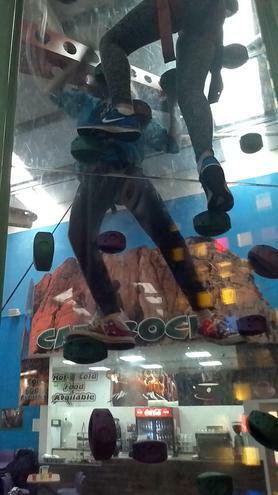 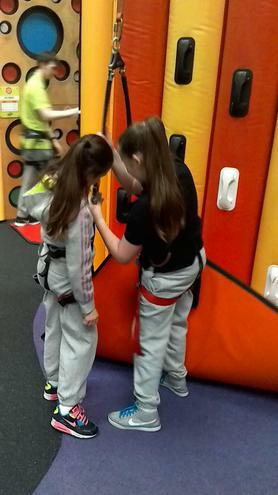 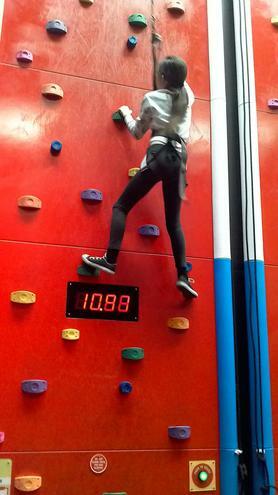 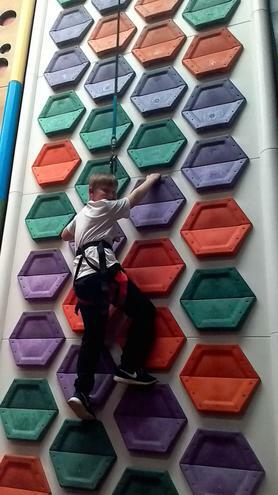 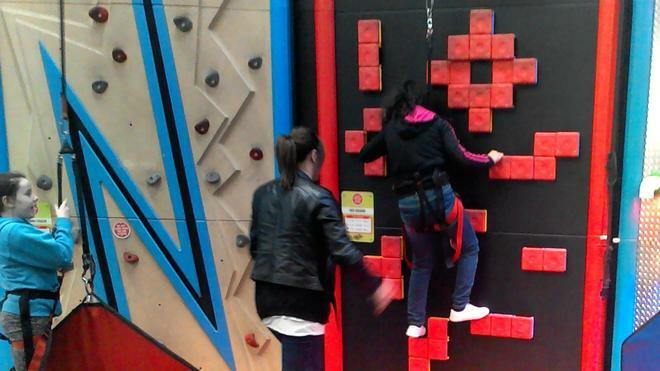 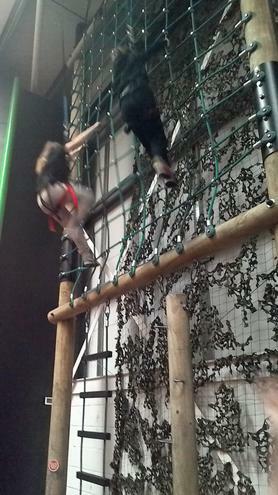 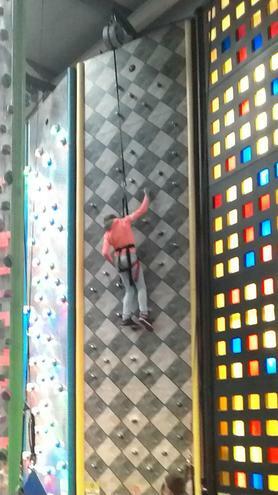 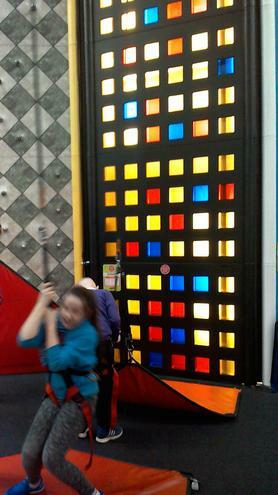 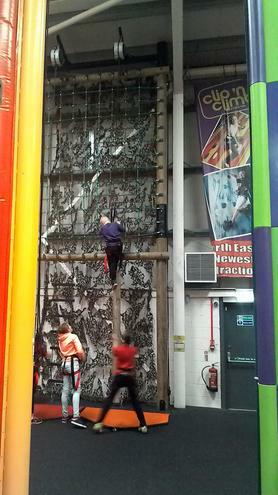 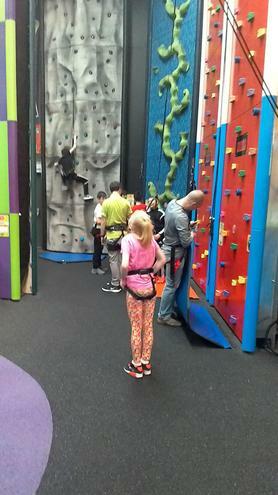 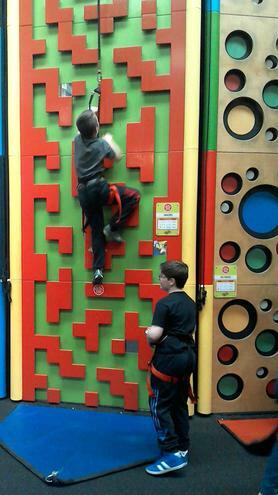 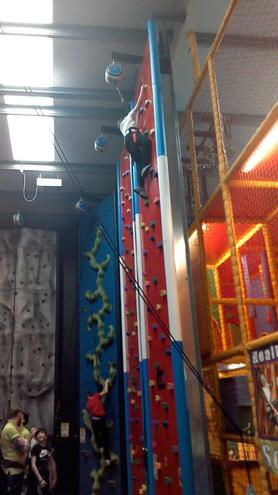 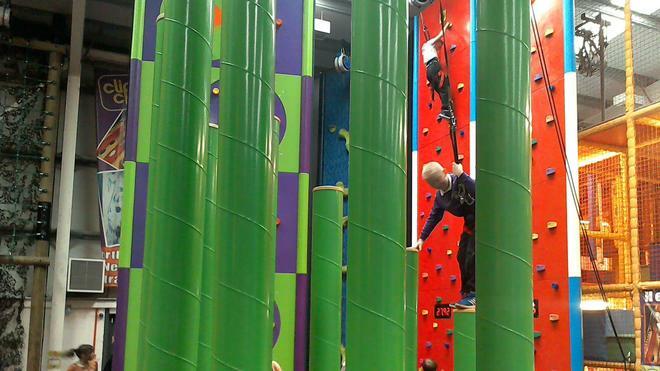 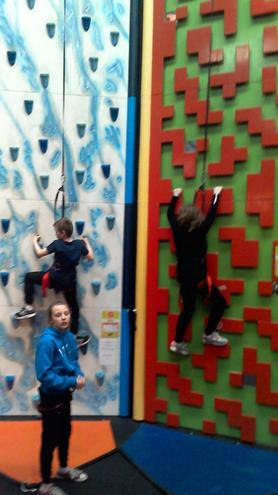 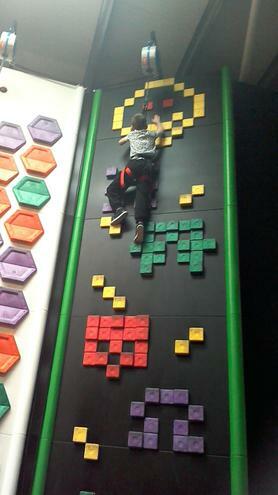 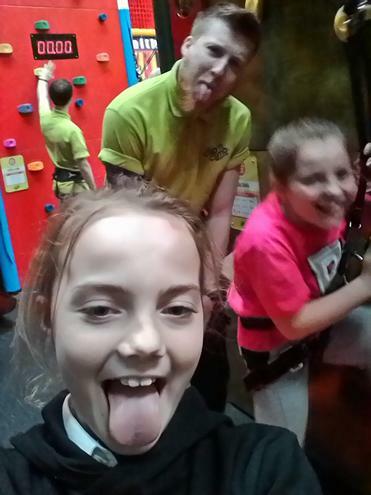 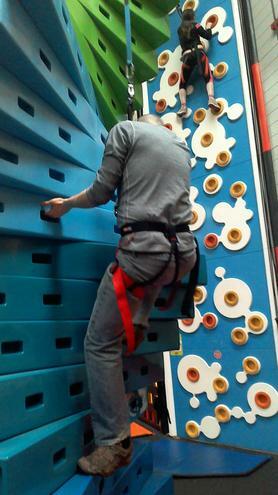 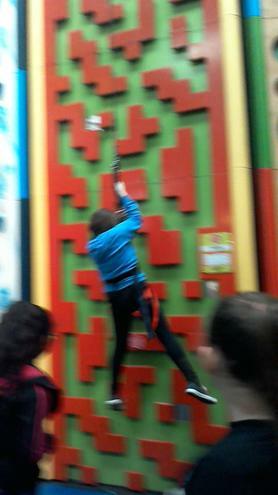 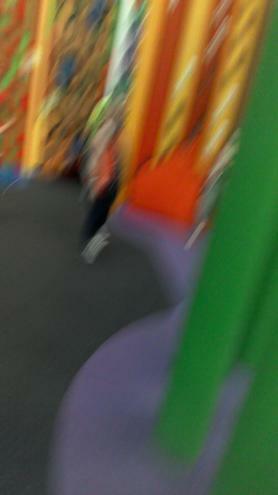 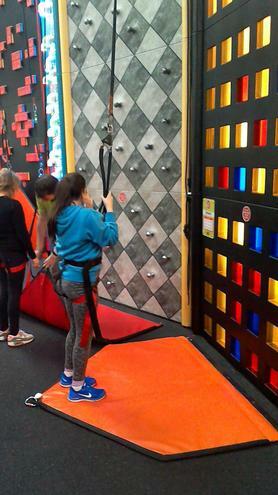 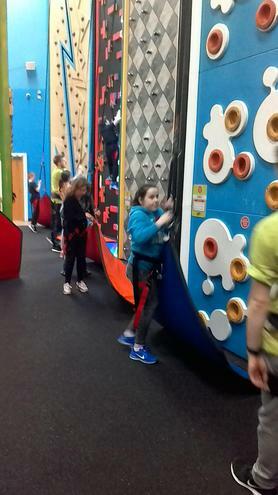 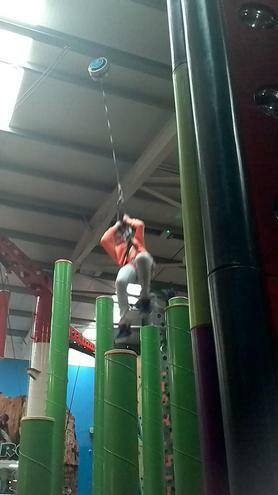 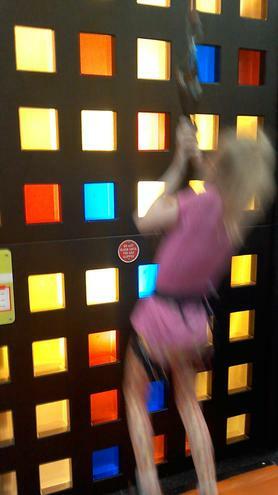 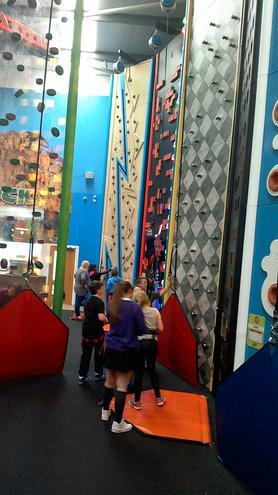 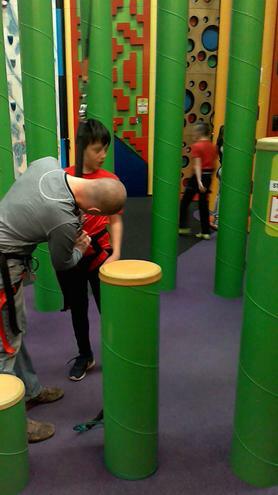 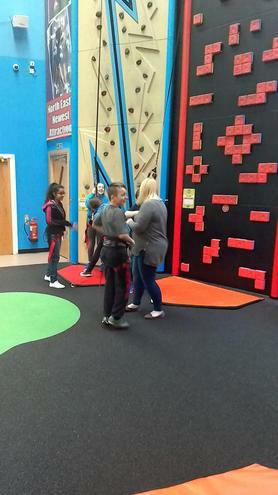 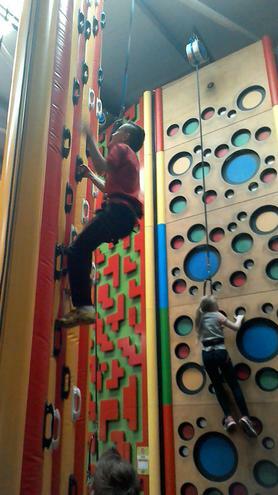 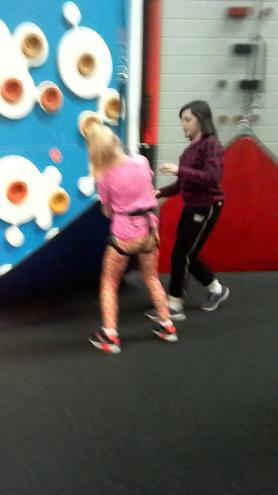 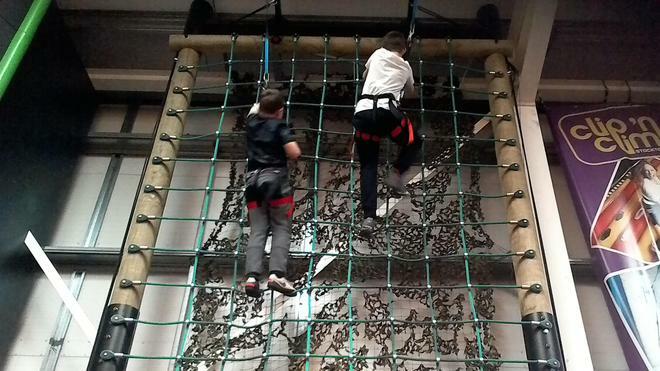 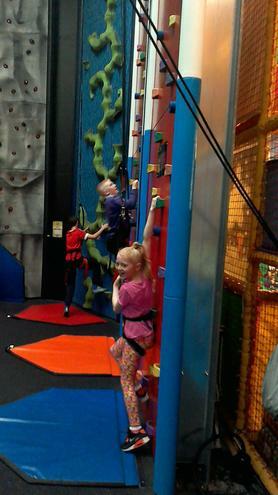 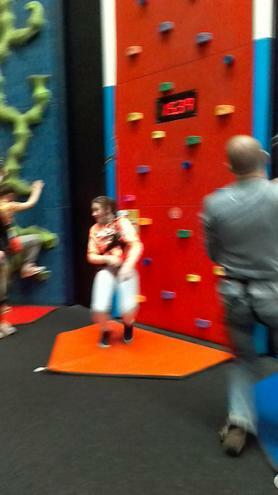 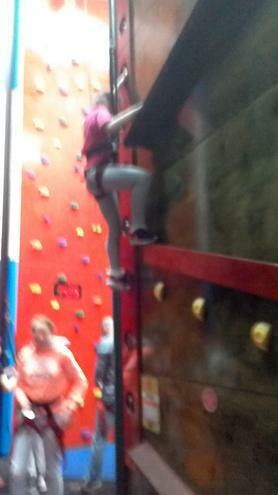 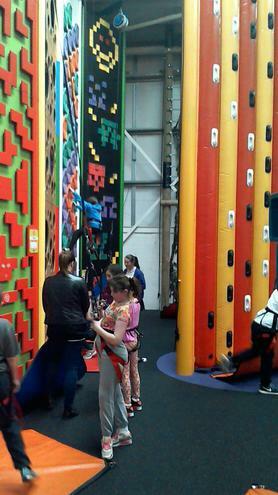 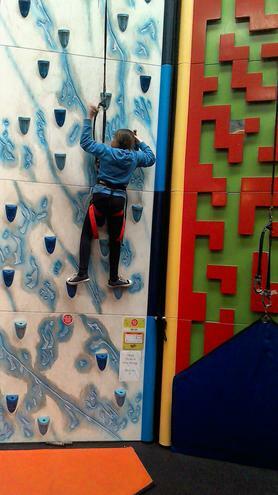 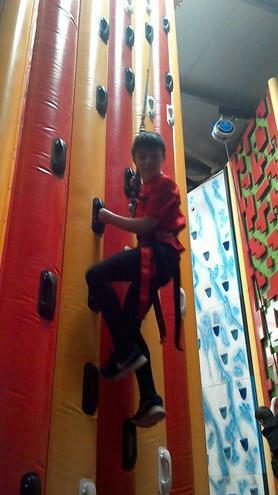 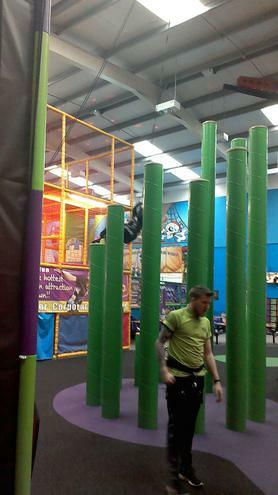 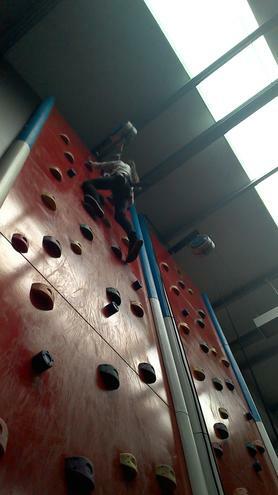 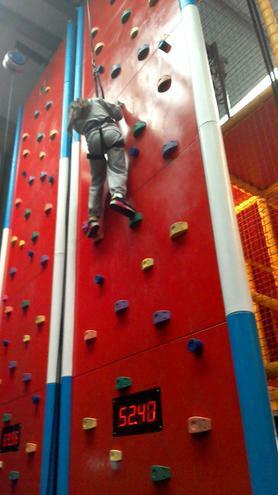 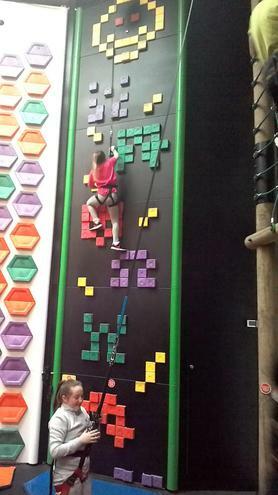 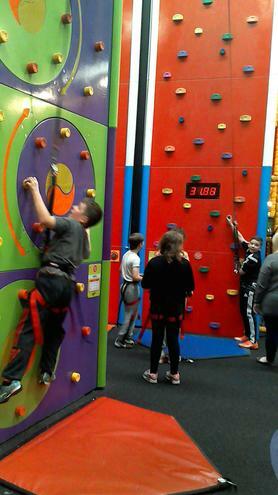 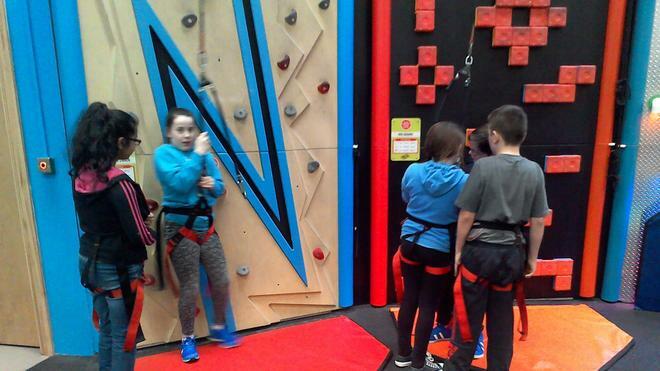 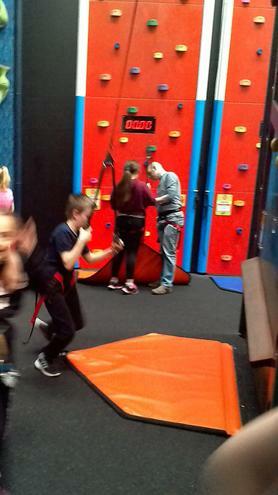 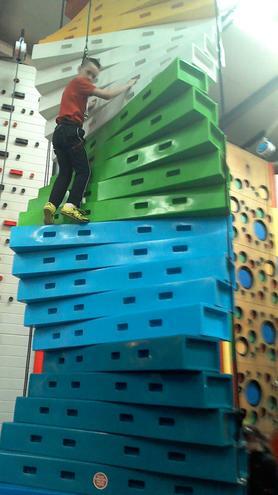 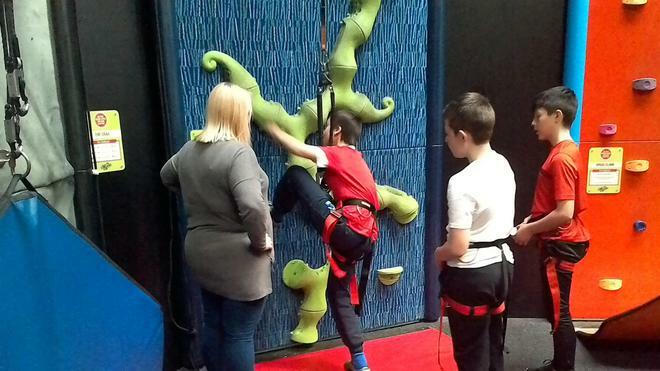 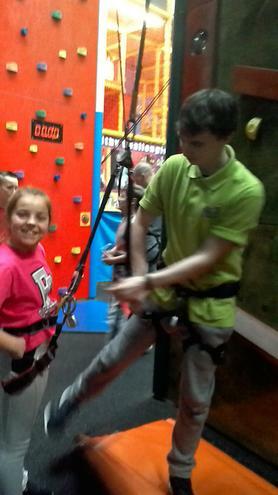 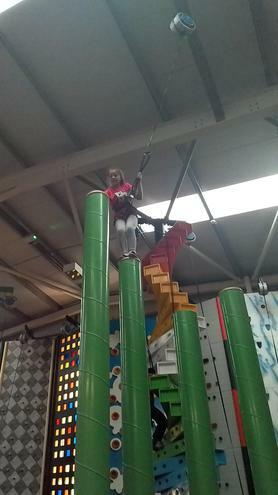 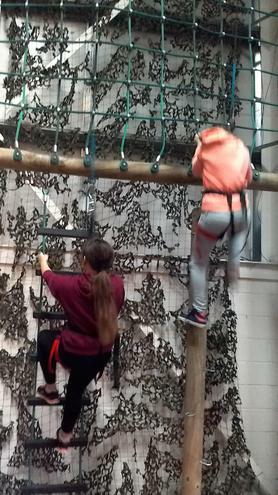 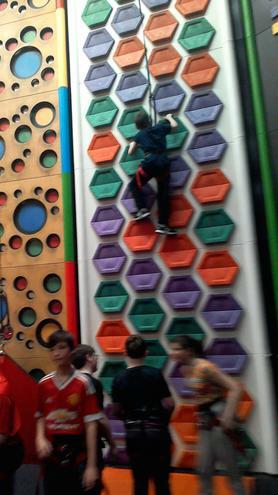 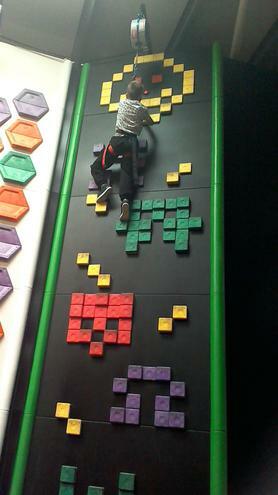 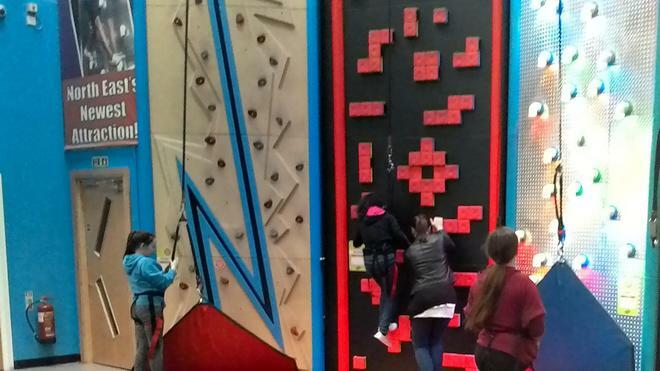 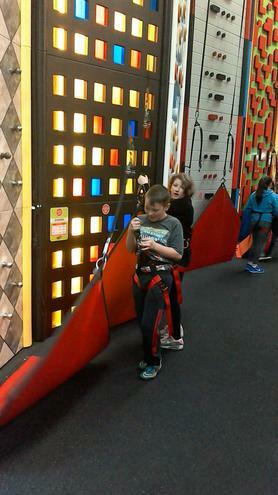 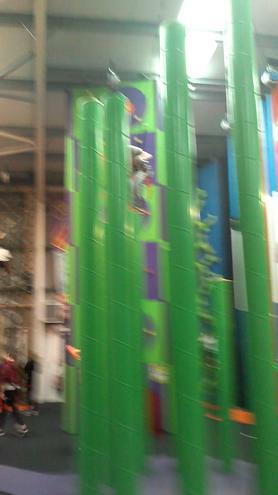 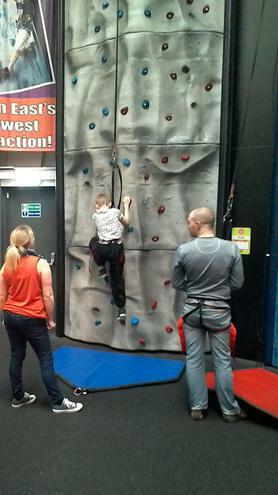 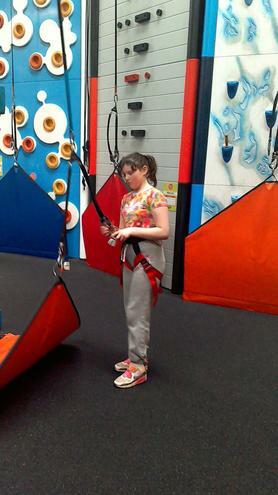 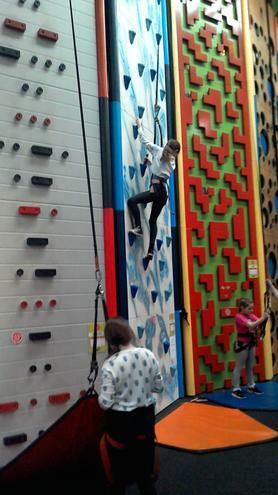 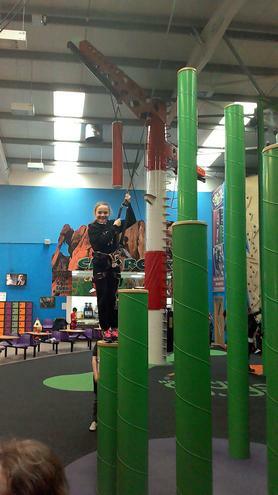 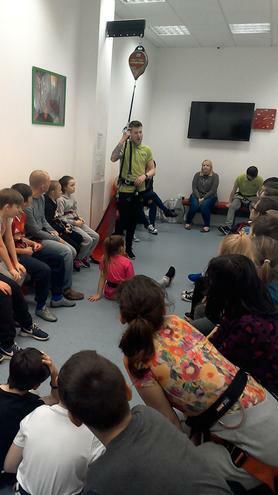 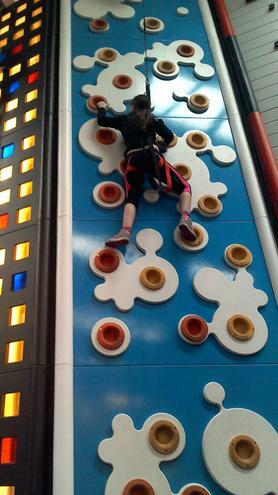 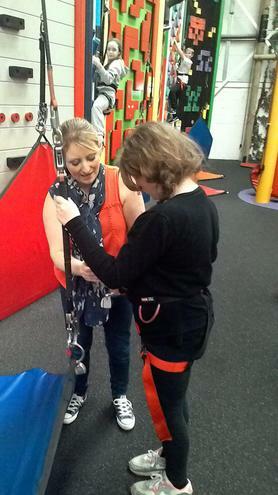 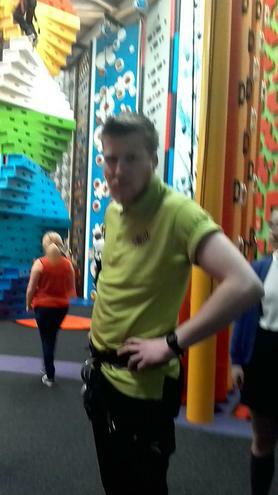 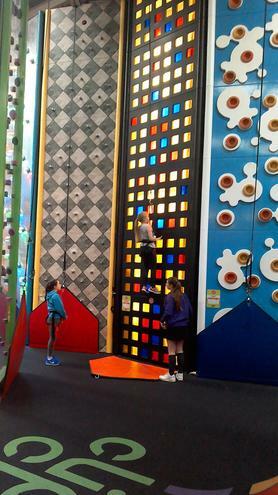 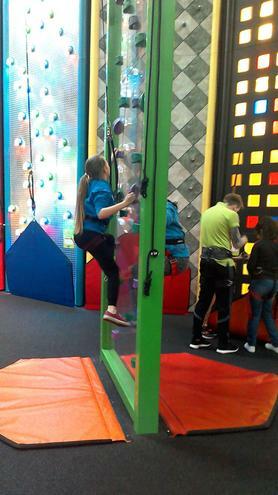 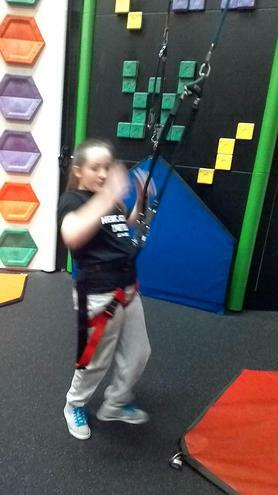 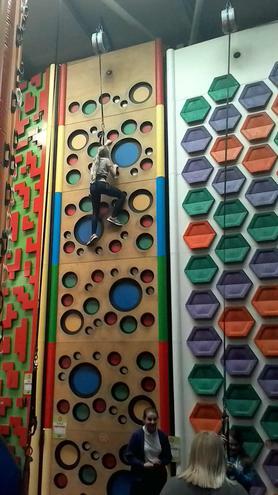 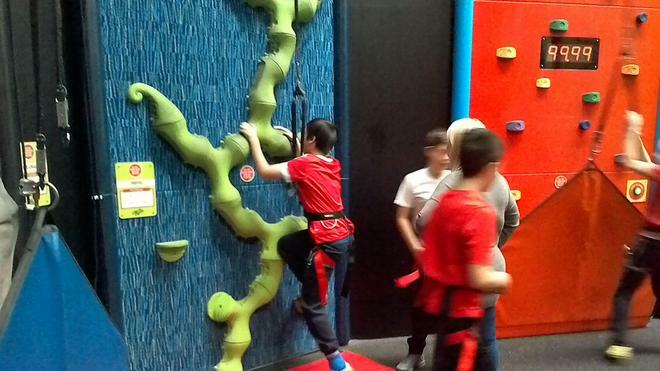 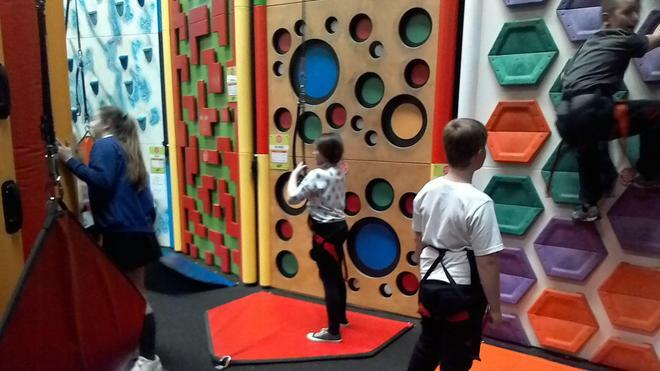 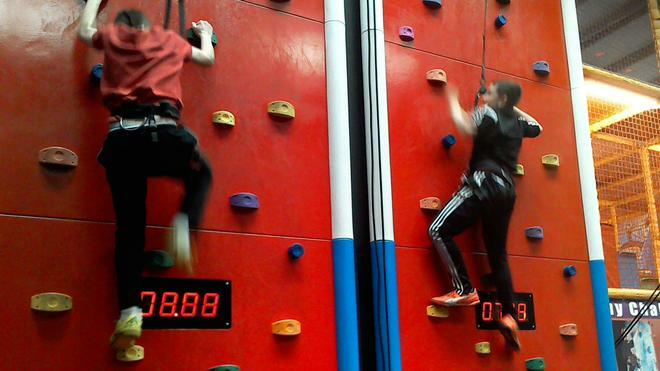 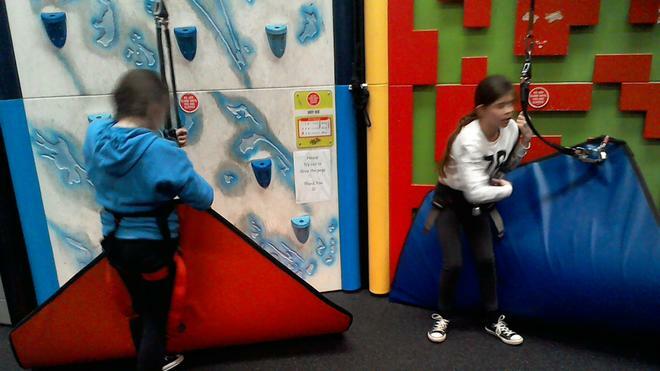 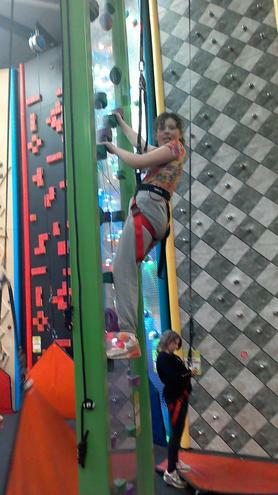 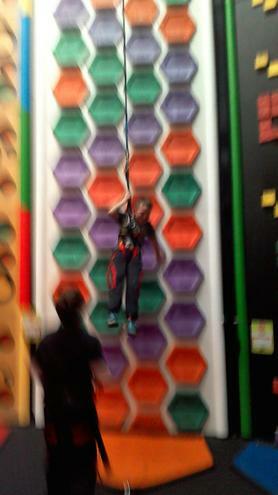 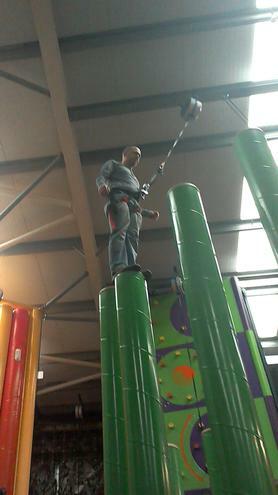 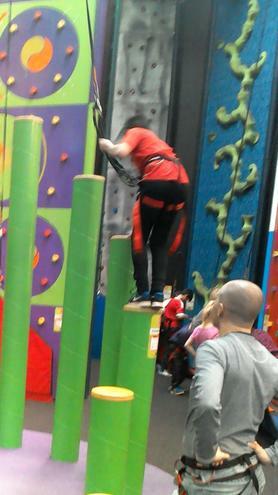 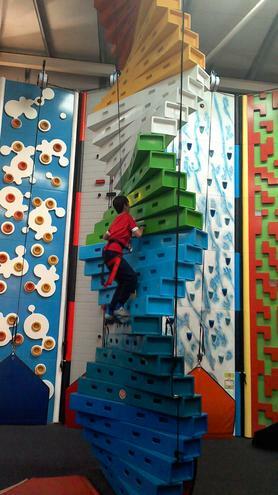 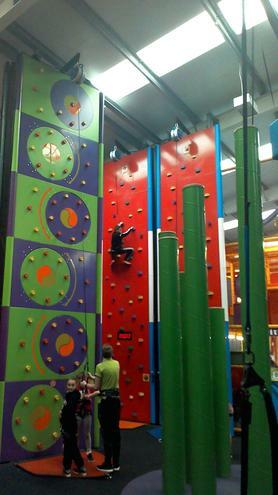 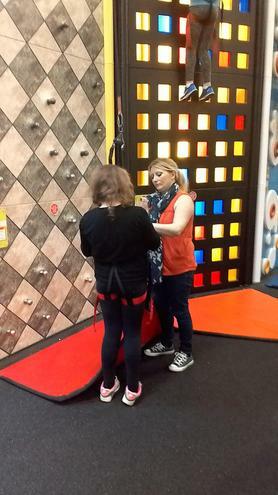 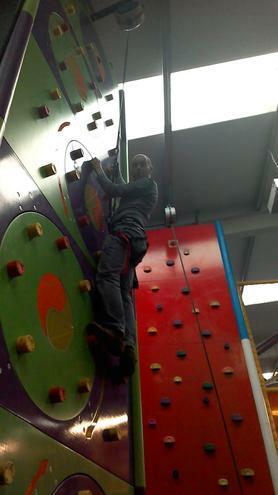 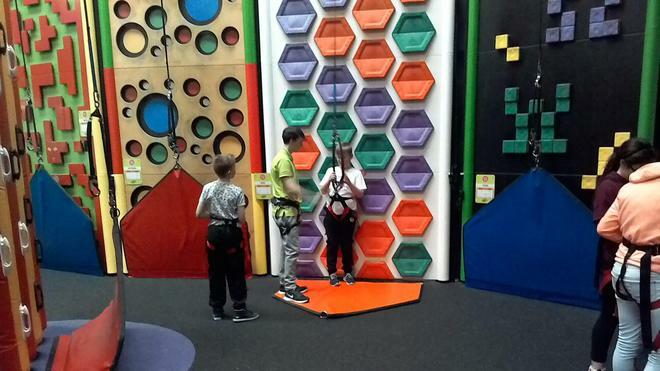 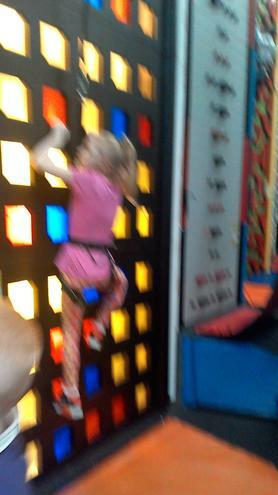 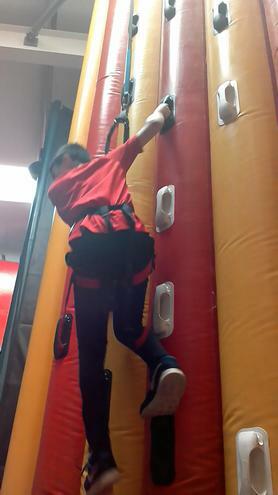 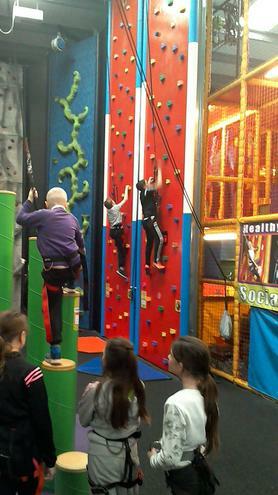 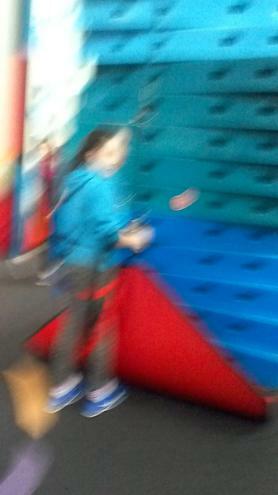 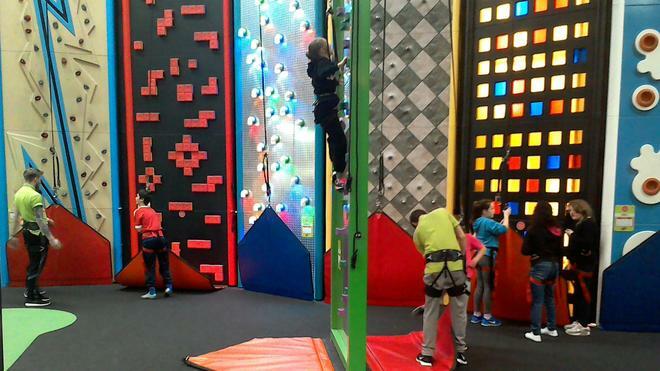 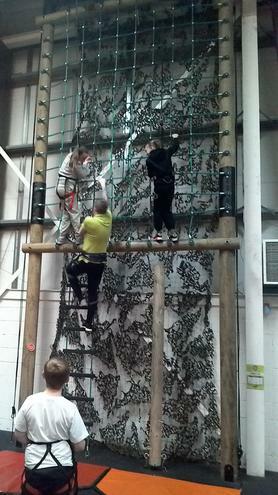 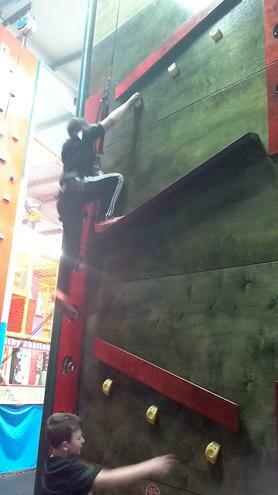 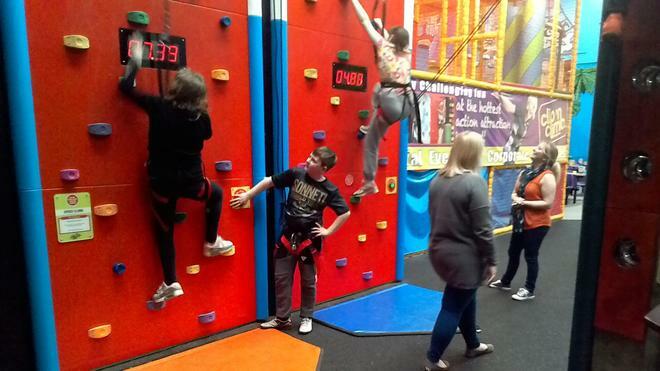 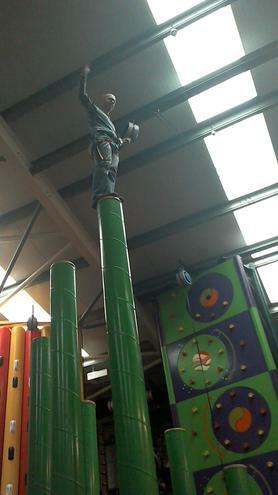 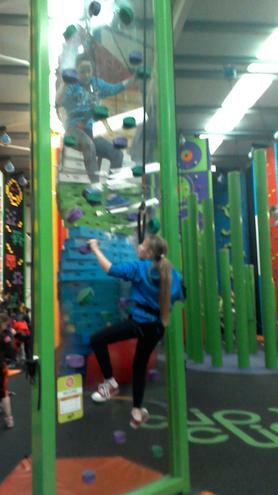 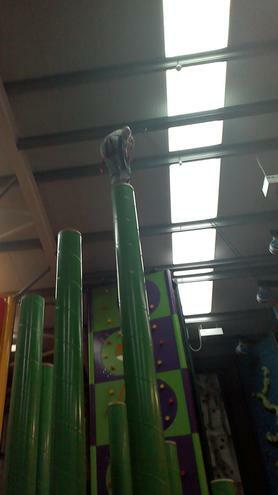 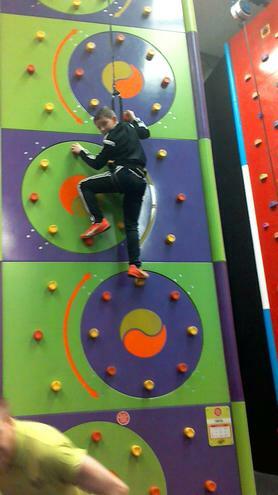 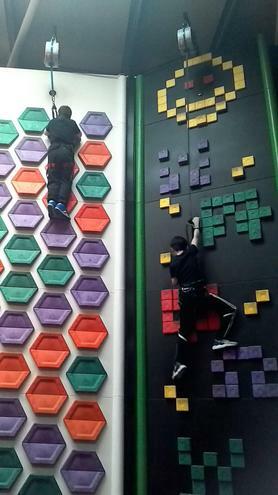 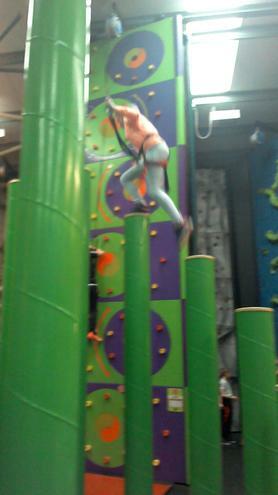 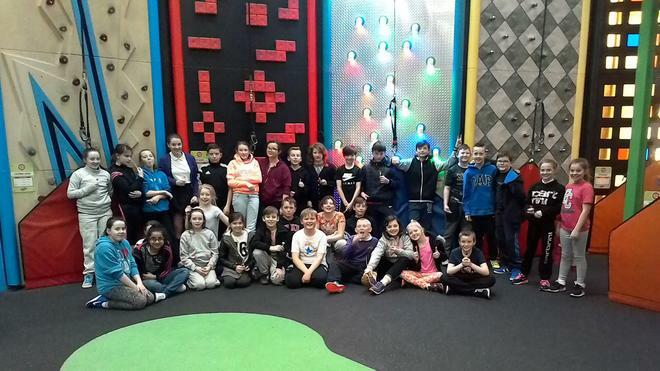 We also visited Clip 'n' Climb in Stockton this term to enhance our PE curriculum. 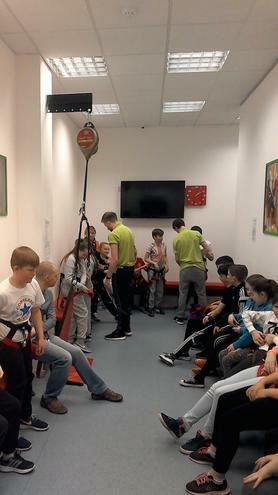 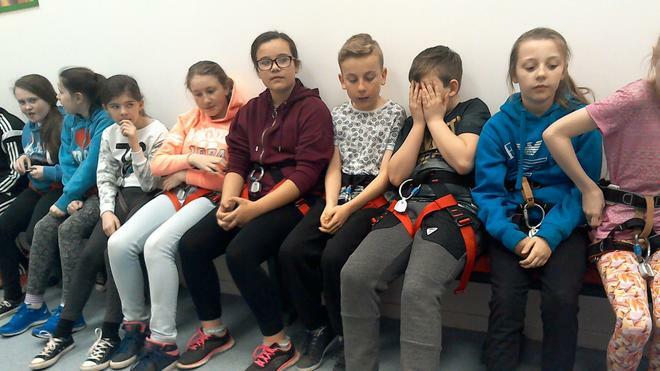 The children had a safety talk from the instructors before enjoying an afternoon of climbing up a range of walls and obstacles.